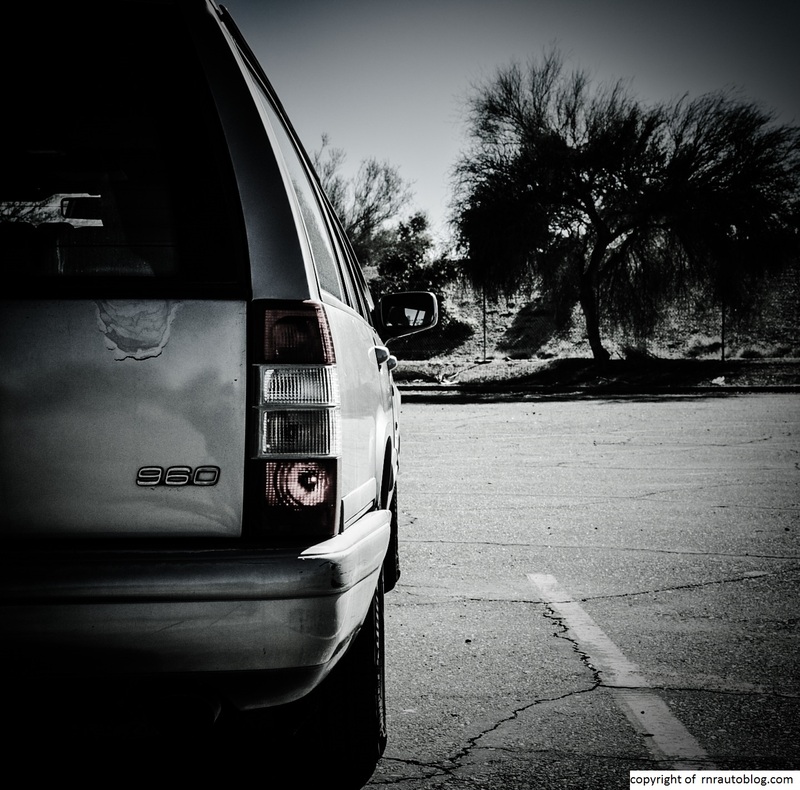 Just like manual transmissions, station wagons are a dying breed in the U.S. Unfortunately, they are being cannibalized by the market’s trend towards SUVs. The image and the lofty driving position that an SUV provides are proving to be irresistible to consumers. Even the Subaru Outback, long a poster vehicle for “outdoorsy” wagons is now being labeled as a “crossover SUV” on Subaru’s website, and the latest generation is as tall as a compact crossover. The emerging SUV market has caused station wagons’ (or in Europe speak: estates) relevance to decrease significantly. The Audi A4 wagon is now a puesdo-SUV thingy called Allroad in which they took a regular Avant (Audi language for wagon) and put cladding and raised the height as to reinforce the Allroad’s appeal as an SUV. 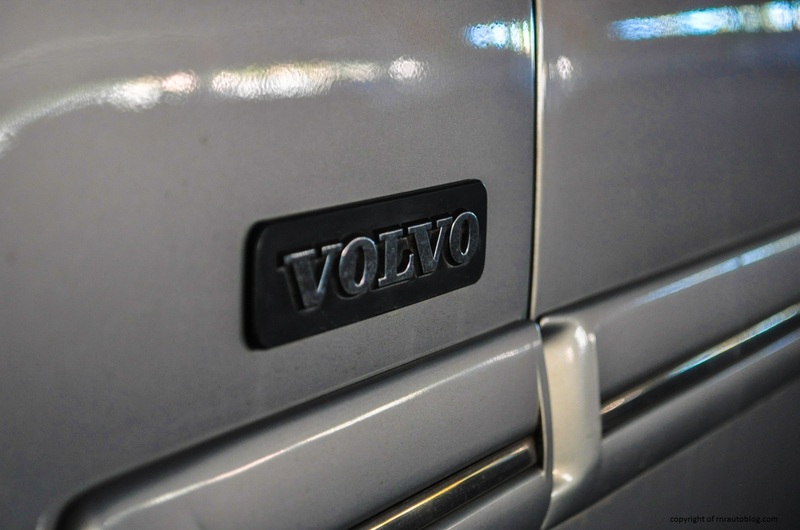 Volvo, long associated with boxy station wagons, now features more SUVs than wagons in its lineup. 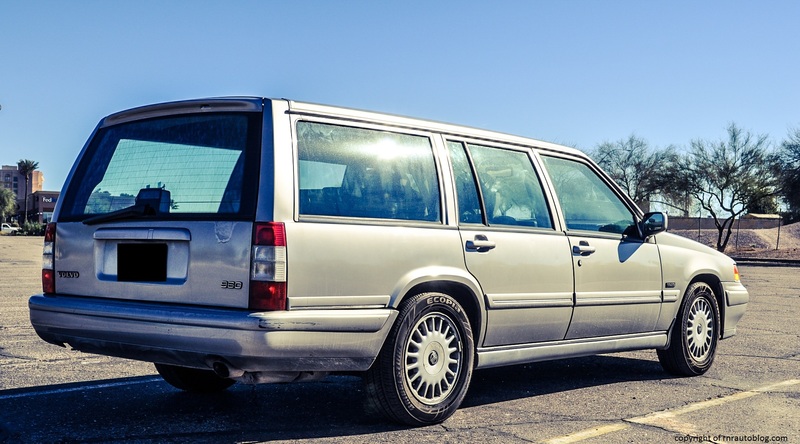 Speaking of Volvo, one of the boxy station wagons it is known for is the 960. 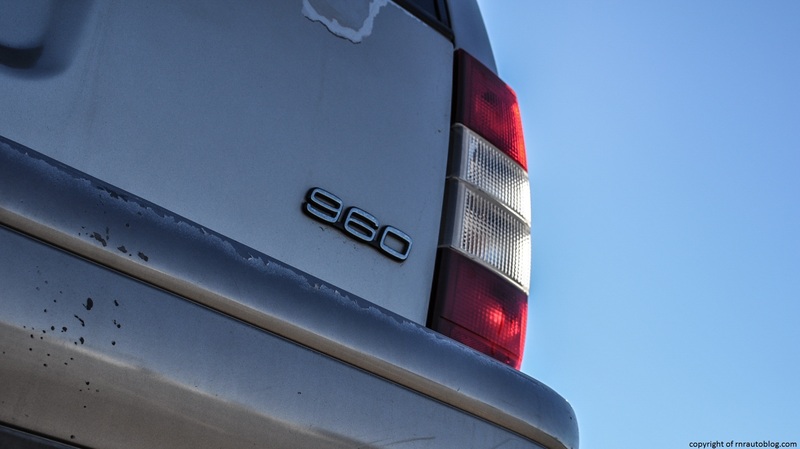 Part of the 900 series of flagship rear wheel drive cars in Volvo’s lineup, the 940 and 960 models were introduced in 1990 to replace the preceding 700 series. This is a bit confusing, but what I gathered from research is that the 940 and 960 are actually the same car. Apparently, the 940 denotes four cylinder engines, and the 960 denotes six cylinder engines. 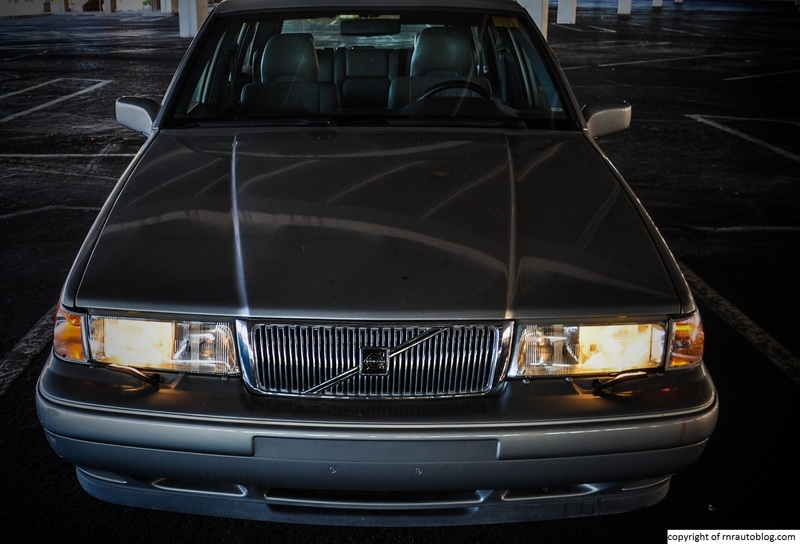 In 1994, the 960 received a freshening, and for the 1997 model year, the sedan and wagon were renamed S90 and V90. 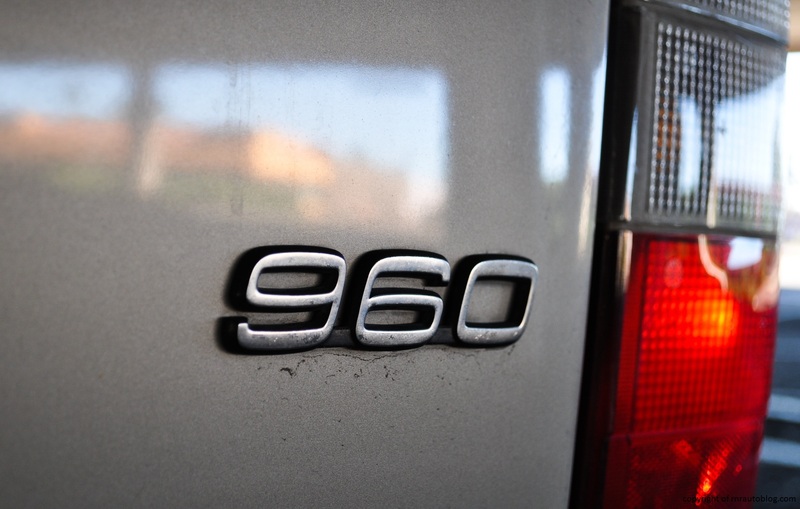 In 1998, the S90/V90 were replaced by the S80. 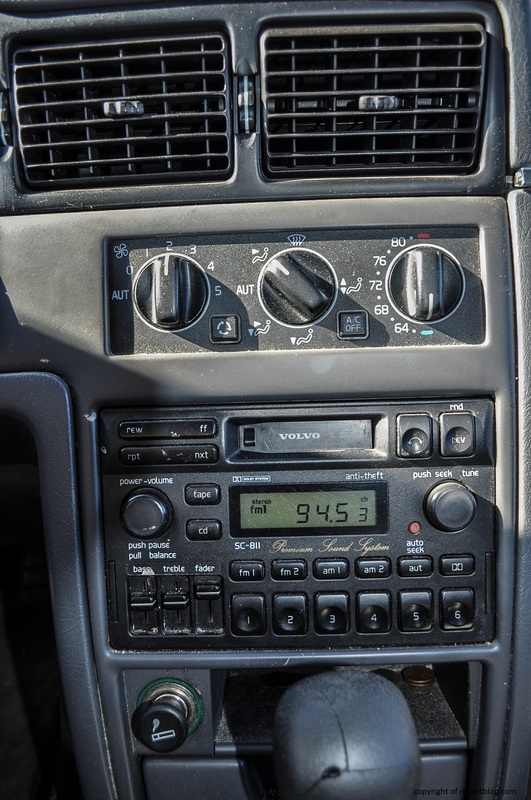 Having the chance to review an actual proper station wagon, I knew I just had to review this 960. While the 960 may be lacking in the aesthetics department, I feel that the 960 has a stately appearance. 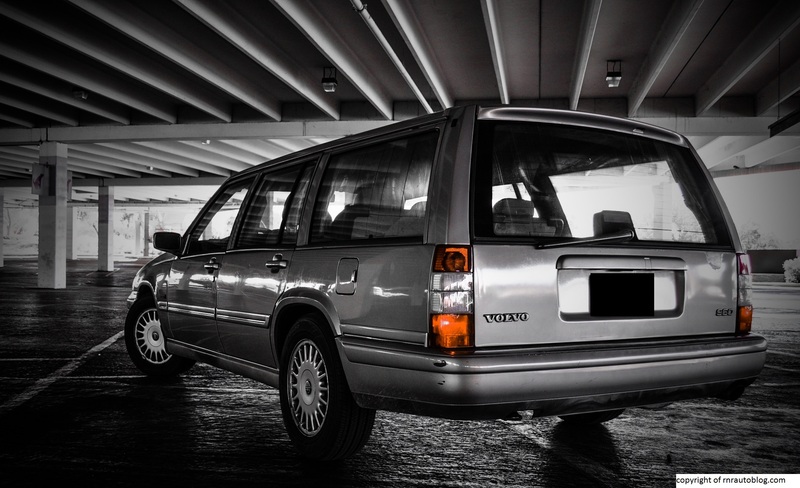 Considering how curveaceous the latest Volvos have become, (Just look at the latest V60 wagon), the boxy exterior of the 960 is a refreshing throwback to Volvo’s past. 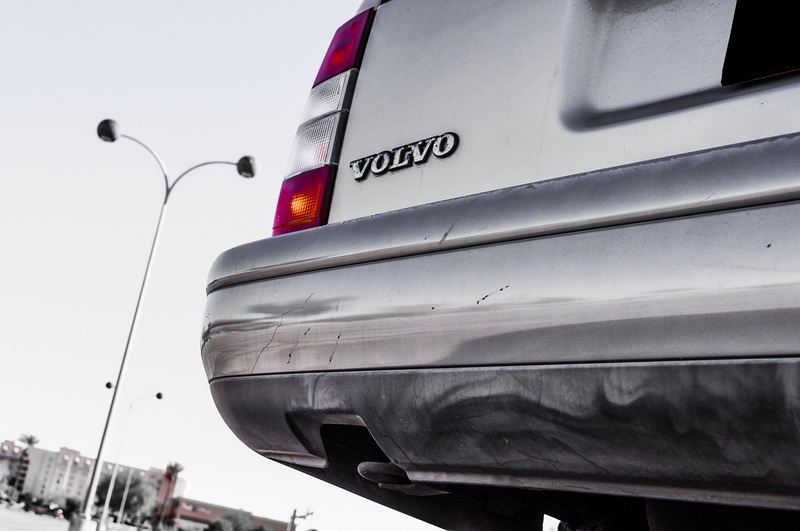 The Volvo is all business, and its appearance serves one purpose: to be functional. This is reflected in the front where large and rectangular headlamps do their best to illuminate the path ahead at night. A classy if slightly fussy grille is slotted in between the headlamps, and the lines on the hood stemming from the grille to the windshield is a nice touch. The side profile is nothing to write home about as it is the view of a typical wagon. The moldings on the doors do detract from what is essentially a clean profile. The back resumes the functional appearance with large and rectangular taillights. Overall, even though you think the car would be unnoticeable because of its vanilla appearance, it actually sticks out because of how boxy it is. But I like it, because nowadays, cars are so devoid of boxiness that the 960 just comes across as unusual but maybe a bit slightly…adventurous? As for the interior, the name of the game is business with dark colors and unimaginative design. Even though the 960 acts like a fat and lazy dog when you ask it to do anything out of the ordinary, it actually is fun to drive in a way. The steering is very light at speed, but it remains composed over ruts and imperfections. It does not convey much road feel, and the steering can be slow to respond. Turn the steering wheel, and the wheels take a second to respond. I do not know why, but the rear wheel drive balance makes this 960 chuckable in the corners. Combine that with low body lean, and you have a decent handler. Picture this, turning around in circles in parking garages in a station wagon. The sheer act of abusing this car when turning becomes hilarious and entertaining. 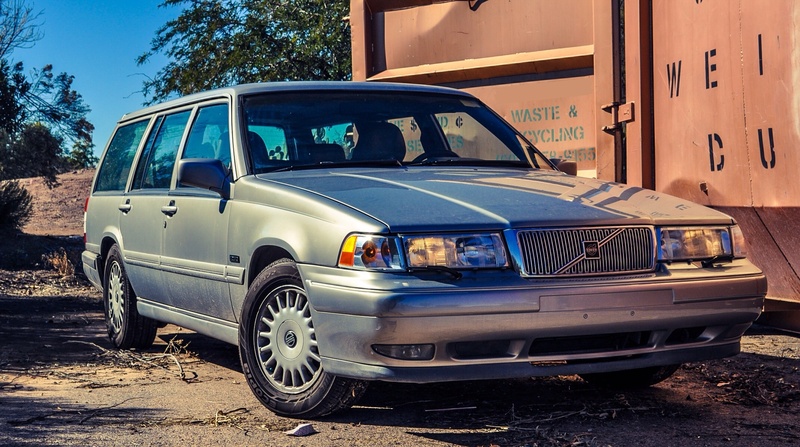 The ride quality is exactly what you would expect of a Volvo wagon. The ride filters out all the bumps, and it is like riding on a cloud. That is until you hit a nasty pothole, and the car loses its composure. But for the most part, the ride quality is spot on. You really do feel that you are in a car made of granite; aside from the occasional pothole shenanigans, this thing feels built like a tank in every other situation. In 1995, the 960 was offered with a single powertrain, a 2.9 liter six cylinder mated to a four speed automatic transmission. The 2.9 liter pumps out a respectable 201 horsepower and 197 lb-ft of torque. Initially, it feels very peppy thanks to a good deal amount of torque at low revs, but the power surge quickly tapers off as you go up the rev range. In addition, the power delivery is inconsistent, with several gaps throughout the power band. What I mean is that the engine performs like an on and off switch at times. Sometimes, the power is there, and sometimes it is not. The four speed automatic transmission takes its own sweet time, and when it does shift, it does so in a clunky manner. A five speed manual was available in Europe as well as less powerful petrol and diesel engines. At idle, the six cylinder sounds a bit rough, although that could be attributed to its age rather than its fundamentals. When you gun it, it literally sounds like the engine that could (like the train that could): wheezy and huffing till the redline. When you are not strangling the life out of the engine, it fades into the background. Road and wind noise are well-contained, contributing to a tranquil atmosphere, useful for those long distance trips. 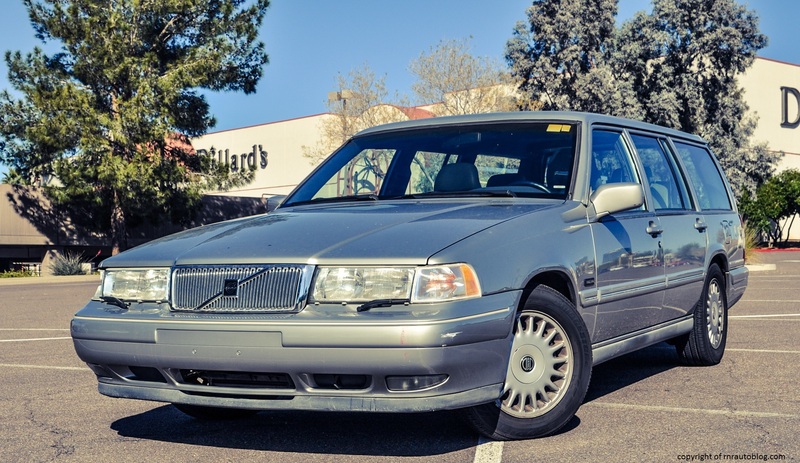 While the cabin is not super luxurious as its price back in 1995 suggested (Back in 1995, this would have cost around $35k for this version), the craftsmanship still reminds you of its European roots. Even though it is a 20 year old car, fit and finish is almost perfect. I say almost because there are quite a blot of hard plastics. The tall upright body affords generous headroom for all passengers, and there is plenty of space in the front. Finding a driving position is easy although the steering wheel seemed a tad offset too much to the right. I doubt this will bother many people, but I found it slightly disconcerting. The leather seats provide ample support, and the rear is roomy, if a bit narrow for three adults. The cargo area is cavernous and is simply huge when the back seats are folded. Seriously, you could fit a sofa in the back. Perfect for those trips to IKEA. Which is interesting because Volvo is Swedish. And IKEA is Swedish. So therefore, if you have a Volvo, you have to go to IKEA. Just because. Anyways, the controls could be more logically placed. Most buttons are scattered in various locations, and they are not easy to discern from a glance, especially while driving. Over time, you familiarize yourself with it, but you still find yourself taking more time off the road than you should just to make sure you selected the right button. At least the AC controls are easy. The gauges are large and easy to read. The gear shifter slides easily past D though. The doors open wide, but the roof is actually pretty low, so you have to take care when ducking into the car. 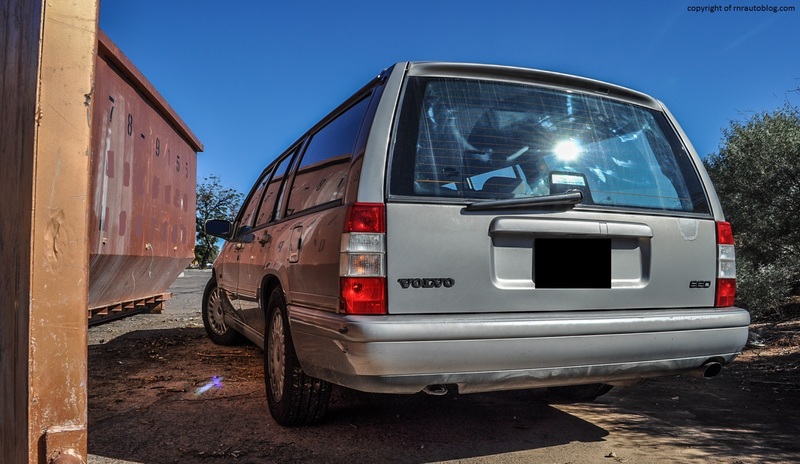 Even though this wagon is twenty years old, and normal people probably think it is not the funkiest thing in terms of appearance, I say we should care about this Volvo wagon. Why? Because it is the freaking coolest thing ever. For some reason, I enjoyed driving the wagon. I just could not help but bask in the novelty of driving a wagon. Rationally, a wagon is a better choice than an SUV because it provides better fuel economy, drives better, and has the same amount of space as an SUV. And it is usually cheaper than an SUV. And a wagon is more likely to be available with a manual transmission than an SUV. So why aren’t we buying more of them? Image frankly. While not as bad as the stigma associated with minivans, the stigma associated with wagons as well as the lack of a lofty driving position has propelled people towards SUVs and crossovers. I was watching an episode of Friends, which takes place in NYC, and one of the characters, Phoebe, bemoaned getting married because that means she will have to live in the suburbs and drive a Volvo. 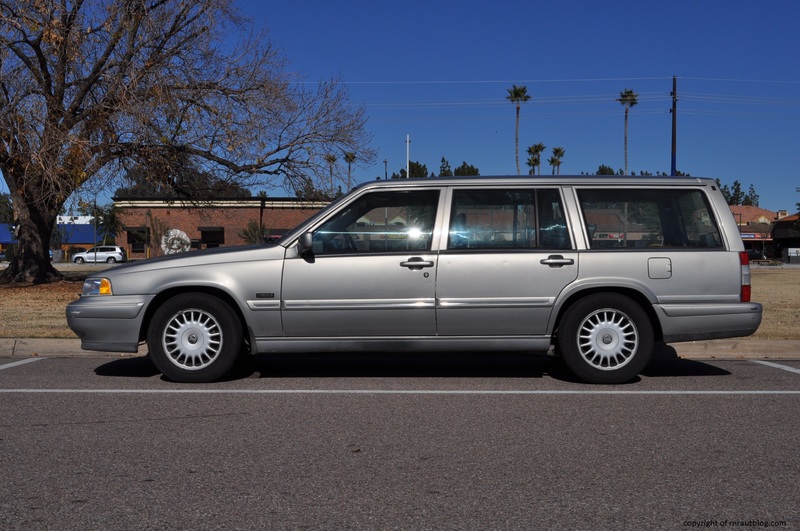 But looking back at it, I have so much respect for people who are still driving the boxy Volvo station wagons. 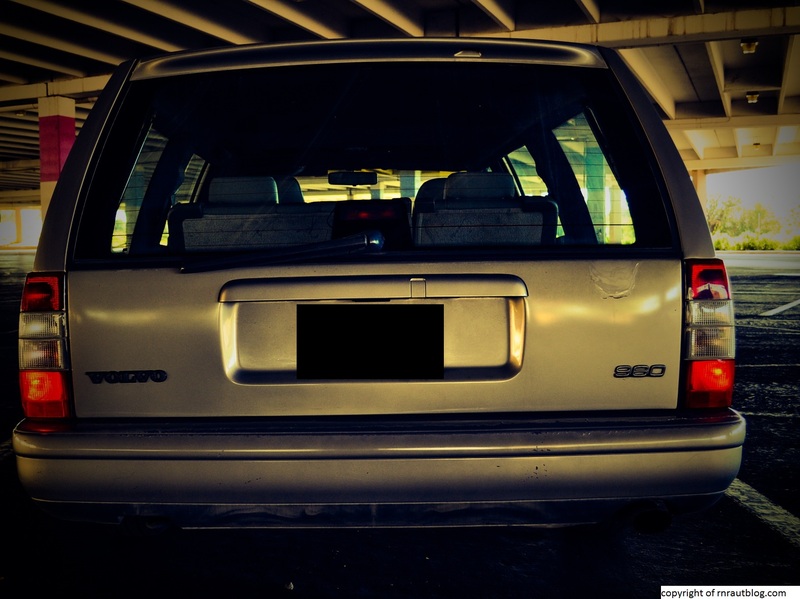 One of my friends Allie has a beautiful blue 2001 or 2002 Volvo V70, and I am enamored with that car. I am that smitten with the Volvo wagon. And that is why I am going to make it my mission to buy a manual transmission Volvo V70 wagon before I die. 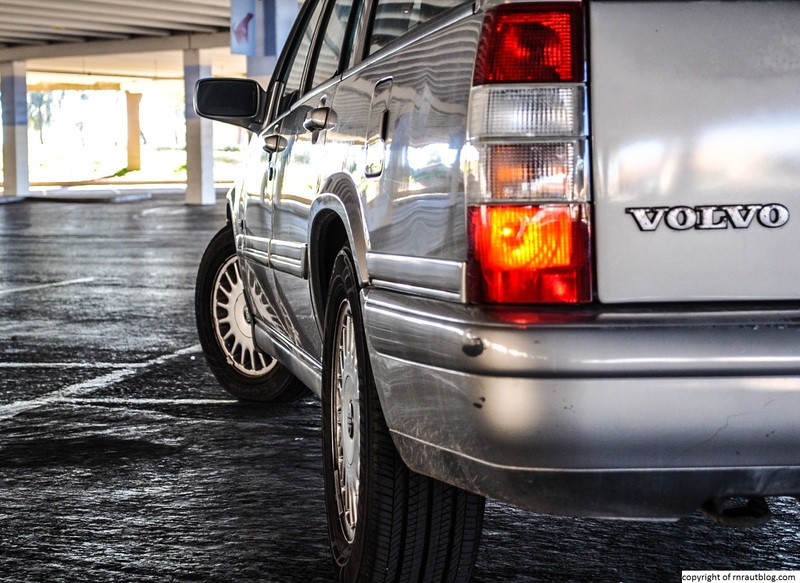 That’s right, buying a manual transmission Volvo wagon is now on my bucket list.